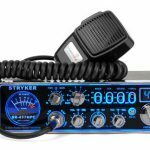 Are you upset because your CB radio produces frail and faint sound? Or perhaps, you want to amplify the output to test your CB radio’s capability. Whichever may be the reason, you’ve got the solution! You need to boost up the power of your CB radio. Buying a CB radio Amplifier is what you need to do in this case. You might also have heard about linear amplifiers for CB radios. We will take you through this part too. Amplifiers play a key role in every sound system. CB radios are no different. I have to tell you that most of the CB radios produce low quality sounds. One way to get better sound is by purchasing a CB external speaker or through an amplifier. But first, we need to walk you through some of the things you need to know prior to Citizen Band amplifier purchase. Buying a power booster for CB radio requires having deep knowledge in this domain. You need to look many factors to make sure you buy the best compatible product. We’ve outlined some of these factors for you. Before buying the amplifier, the very first thing you need considering is law. In the United States, having an amplifier for CB radios is considered illegal. It amplifies the sound by increasing the power output. The legal power output is however 4 watts output (AM) or 12 watts output (SSB) which is measured at the antenna cable at the back of the radio. However, it is not illegal everywhere. If your country hasn’t illegalized it, or, if your CB radio produces very low sound output, you need to go for it. This, however, is an extremely cool accessory for your CB radio which guarantees ‘no more frowning’ over unclear, faint sound. 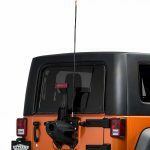 Can Your CB Antenna handle the power? Before parking your gleaming black jeep near Amplifiers’ store, know if your set up is ready to handle that much amount of electrical power output. You need to keep antennas’ maximum wattage ratings in your mind. Different antennas have different maximum wattage rating that may differ from what has been told in their product description. Due to this reason, buy that amplifier with a power output that goes well with your antenna. Can Your Car handle the current? One other thing you need to focus on is ‘current’ requirement. Amplifiers use lots of current to produce their output. Understand the specification of your car’s alternator and the amount of current your amplifier is going to draw. If it is much lower, we haven’t got any problem yet. 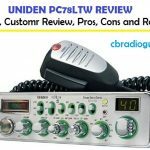 Check if your CB radio is designed to handle amplifier or not. If former, you’re all set up to spend your fortune on amplifying your CB radio output. When you go for CB radio booster shopping, know its types as well. There are mostly two types of CB amplifiers; one that is used for enhancing CB radio, and, the other one, for amplifying sound and power. Amplifiers can be classified as Linear, Valve Radio frequency amplifiers, and Common-Emitter amplifiers. CB Linear amplifier re-conditions the outgoing signal on a CB radio. Valve RF amplifiers are used for high-power transmitters. Common-emitter amplifiers are used in radio frequency circuits to amplify and enhance feeble signals captured by antennas. 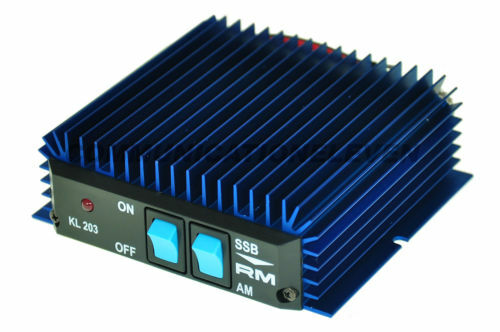 CB Radio linear amplifier is the best sought after power booster in the market. What’s the reason? They provide you the best performance and covers higher miles with the high power. Know your target before making up your mind for CB booster. Don’t buy just any expensive CB amplifier because you couldn’t hear your friend up on the hills over the radio. Understand how much power you may require based on the talking distance you want. Of course, with more power output, you get more distance. However, we’ve already discussed, you would need to look at other factors too like your antenna’s maximum wattage. If you’re looking for the best amplifiers to buy, you’re on the right track. Following is the list we’ve compiled of top amplifiers to look for in the market. The best part about this Megawatt’s CB radio power booster is that it’s designed to run in parallel with other S-700-12 power supplies. Which means you can obtain any amperage (50, 100, 120, 200) according to your desire. All you need to do is connecting them together. You can just run one too. The output voltage is adjustable, from 10.5 to 14 volts DC with output current being 50 Amp. The input is 120 and 240 volts AC. Comes with Double Ball Bearing 60,000 hours dust proof Cooling Fans. This is suitable for 24 hours continuous use. One good quality about this product is that it is highly filtered and regulated, hence no RF noise in audio and radio equipment, also great for linear amplifiers. It has an auto short circuit and over voltage shut down protection. 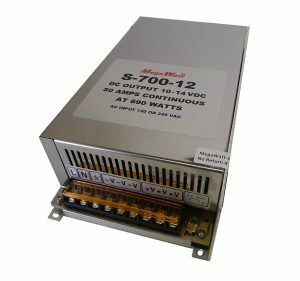 This MegaWatt® 12V DC 50 Amp continuous power supply can be used with any 12 Volt equipment that draws 50 amps or less. 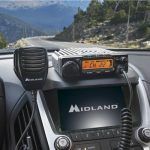 If your CB radio equipment and antenna come under this range, this one is for you. Though it is a bit loud, it is very small and light with grounded power cord. If you’re interested in having a look at the product, you can click on the below link to go to the official dealer of the product. HYS TC-300N is HF Amplifier having best effect Frequency range between 20-30mhz.It works on 15 meters, 12 meters, and 10 meters. The CB booster has an operating voltage around 13.8Vcc with input current 14-20 Amp. Proper connection of antenna is extremely vital for low-frequency product since antenna can directly affect HF amplifier. It also has “High Rotation Speed” fan which is crafted for better heat dissipation. For FM, AM, OR CW, input power is around 3-5 Watt. 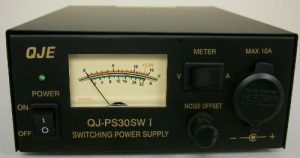 For SSB however, input power is about 2-10 Watt. It is a compact high power all mode amplifier with automatic TX/Rx switch and ON/OFF switches. Since this is a low-drive amplifier, running it with 2 Amp for AM works efficiently without any disturbance or overheating. This amplifier will be one of your best choices if you buy it. Wouldn’t it be so cool to listen to your CB radio with clear, top-notch sound crawling out of your car’s window? It is fully regulated 30 Ampere power supply with amazing compact Size. Considered as one of the best-rated CB amps in the market, this is perfect for high-power Amateur and Two-Way Radios. It has Heavy Duty Back 30 Ampere Red or Black Output Terminals. The Front has 10A accessory socket along with volt-amp meter. With noise offset control, this amplifier is incredibly quiet. You don’t need to avoid amplifiers anymore because of annoying noise. The fan included in it keeps it cool without producing any sound. Though you certainly wouldn’t be damaging your ears with any clatter, still, this high-quality product has a knob for noise reduction. It also comes with short circuit and current limiting protection. It has 20 Ampere constant and 30 Ampere peak output. You need to plug it on with an Input voltage of about 110-125V AC. Output DC Voltage will be 13.8V. It comes with an AC Power cord. There is one better option available for people who are looking for a higher regulated power amplifier. This is a 50 Amp sleek CB Amp from QJE. You can also have a quick look at this 50 Amp QJE Power amplifier. I will tell you, it’s worth having a look at it. You will love the features and reading the customer reviews of the product. Here is the link to the official dealer of [easyazon_link identifier=”B007WMOM4O” locale=”US” tag=”cbradioguru08-20″]50 Amp QJE CB Amplifier[/easyazon_link]. I hope you might have made up your mind about buying a top quality linear amplifier for your CB radio. 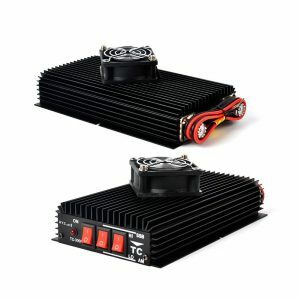 Now you can watch a video of the installation of CB radio amps below. 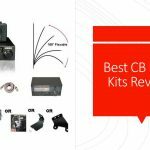 Though these amplifiers or CB radio boosters are an excellent accessory for your CB radio, it is illegal in a few countries. But before buying the CB amp, you need to look at different factors to make sure it works efficiently being compatible with your antenna and radio. Can you ship to Chuuk Micronesia?please let me know ASAP. It is sorry to inform you that we don’t ship or sell CB radios and accessories. If you have any questions about different products, we’re glad to help you though! Please note that Connex 3300 is a HAM radio, not a CB radio. This is a highly compact power amplifier that comes with a cooling fan. I would like to know what would’ve best to use for a Cobra 25 Ltd Night watch 40 channel and a 102” stainless steel whip on my Jeep. I’d like to be able to switch it off when I’m on trail, but be able to sit in my driveway and talk to people 50 miles away. I’m kinda new at this so I don’t know a lot. I do have a SSB radio but it seems to kill or skip over all my friends on trail with the power mic turned all the way down. I got this cobra from a friend to rectify that but now I can’t get past my little podunk town.